Cadillac’s CTS-V (2009) has begun production this month and the initial sales will begin around November 1. 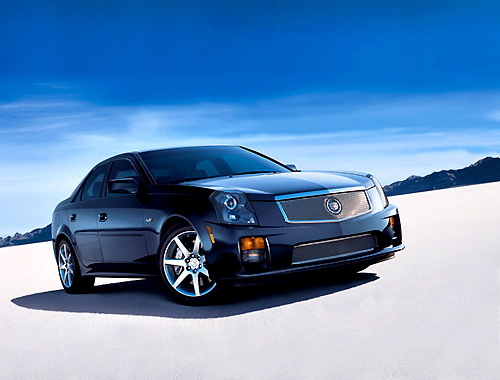 The new CTS-VIs designed to become the world’s most desirable luxury cars with the starting price of $59,995 in the American markets. Based on Cadillac critically acclaimed CTS sports sedan, the CTS-V shows the full range of the brand’s impressive design and technology. It includes advanced performance technology like supercharged 6.2-liter V8 engine and Magnetic Ride Control that is world’s fastest reacting suspension. It comes with almost a complete collection of features that include a 6-speed manual transmission, a hand-crafted cabin, a Bose surround sound system that has a 40-GB HD and a USB port as well. A new 6-speed automatic transmission with steering wheel mounted shift buttons, microfiber interior accents, a large Ultra View sunroof and 14-way adjustable Recaro performance seats are some other available options.